The StarTech.com 7-port USB 3.0 hub is your answer for a durable and compact hub that's ideal for desktop or travel usage. 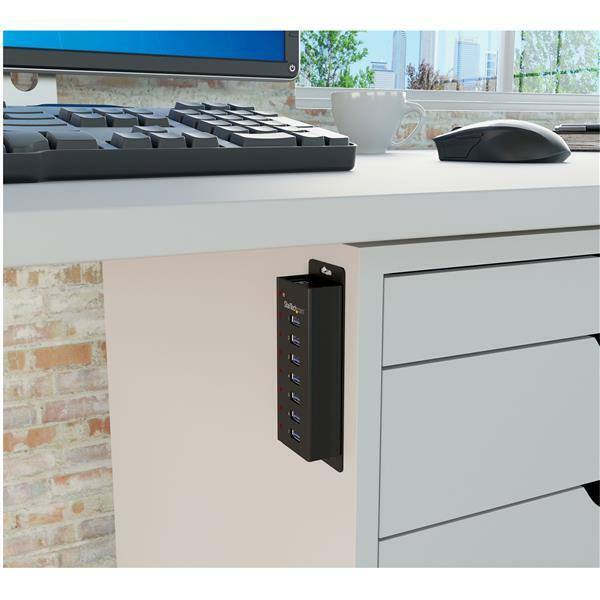 This hub is perfect for a permanent setup with a desktop computer, with a rugged metal housing that can withstand the wear and tear of daily use. Plus, you can attach it to a surface such as a desktop or wall using the included wall-mount bracket. The compact size and durability of the hub also make it perfectly portable. When you’re on the go, its robust design resists damage that can occur when travelling or from back-and-forth trips from home to office. 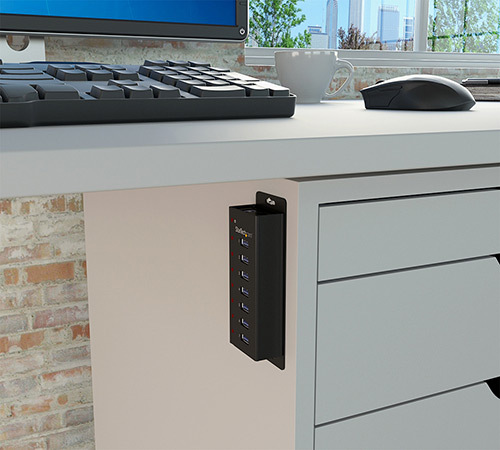 The ports on this hub are upright, which makes it perfect for IT professionals or anyone who needs to plug and unplug their USB devices regularly. 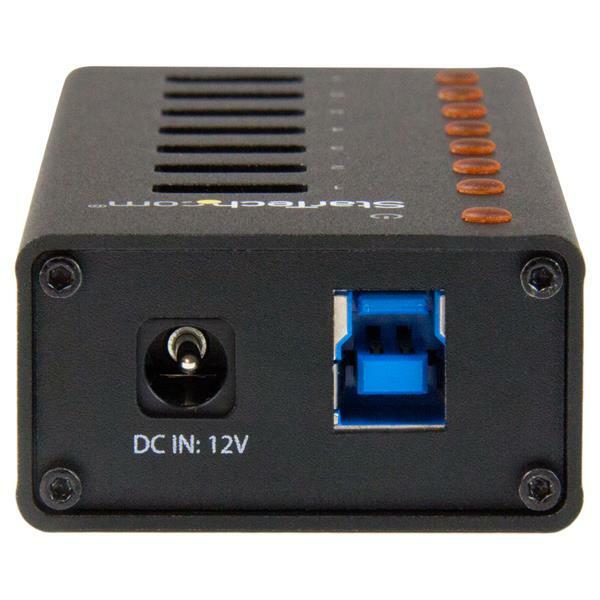 You have lots of room to grip the connectors, without the worry of oversized plugs taking up too much space and reducing the number of available ports. 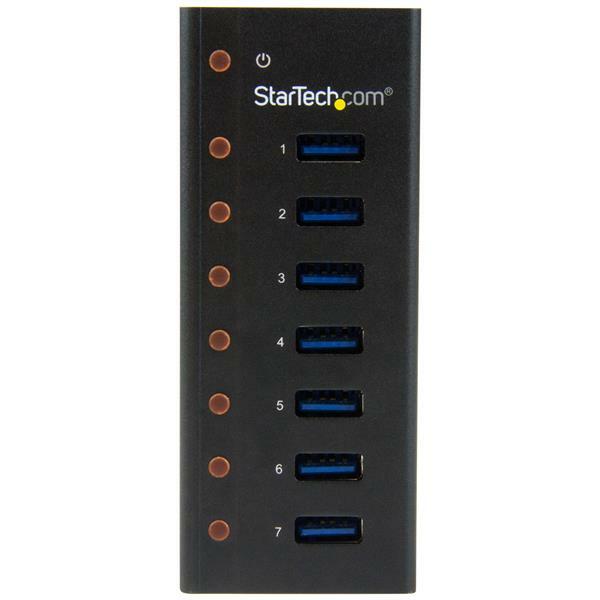 With extra USB 3.0 ports, you can increase productivity and connect more devices to your computer, or simply avoid the hassle of swapping connected devices on your port-limited laptop. The hub makes your USB ports more accessible and can easily extend the range of your devices by acting as a mid-point repeater. 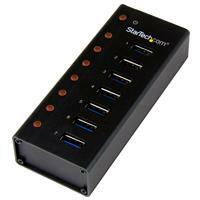 The ST7300U3M supports the latest USB 3.0 products including UASP-enabled storage devices. With data transfer speeds of up to 5 Gb per second using SuperSpeed USB 3.0 technology, this high-performance hub is the perfect accessory for your desktop, laptop, MacBook®, or UltraBook™. 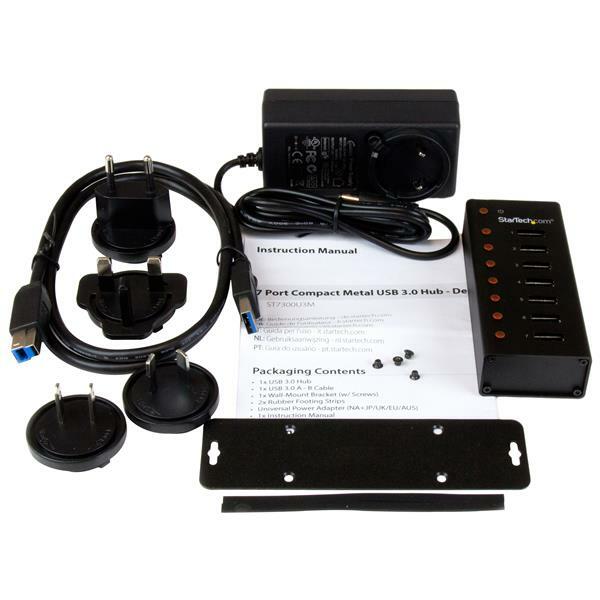 You can also use the hub with older peripherals and computers, with support for USB 2.0 and 1.x devices and no additional drivers or software required for installation. 1 - USB 3.0 A - B Cable - 3.3 ft.